Billie Smedts pulled on the navy blue guernsey nine times in his first season at Carlton. Versatile midfielder looking for a fresh start after 38 games in five seasons with the Cats. 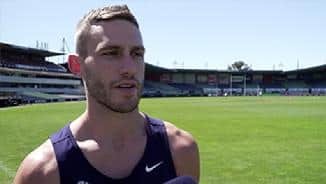 Picked up by Carlton in exhange for Zach Tuohy and draft picks during the trade period last October, Smedts is agile, skilful and can play in various positions. A succession of injuries, including two broken legs, a broken collarbone and shoulder reconstruction, have stymied his progress in the past three seasons. Will provide the Blues with much-needed depth and experience. 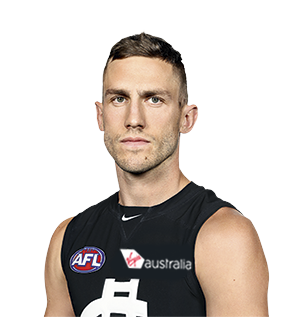 Draft history: 2010 NAB AFL Draft 1st round selection (Geelong) No.15 overall for round one compensation selection (Gary Ablett); 2016 NAB AFL Draft traded by Geelong for Zach Tuohy, 2017 2nd round selection.